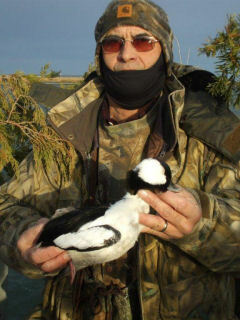 The cost of a guided hunt in the regular waterfowl season is $195.00 per person, per day. Chincoteague Hunting / Fishing Ctr. Please put the dates of the hunt in the note section of the check. Or by credit card by calling 1-888-231-4868. We accept Visa or Mastercard. Hunts are reserved only after we recieve your deposit. Once we receive your deposit, you will be emailed a reservation confirmation along with a questionaire. This confirmation will include recommendations on lodging. Other questions will include what type of birds you want, are you bringing a dog, any special requests, and other important questions relating to your hunt.